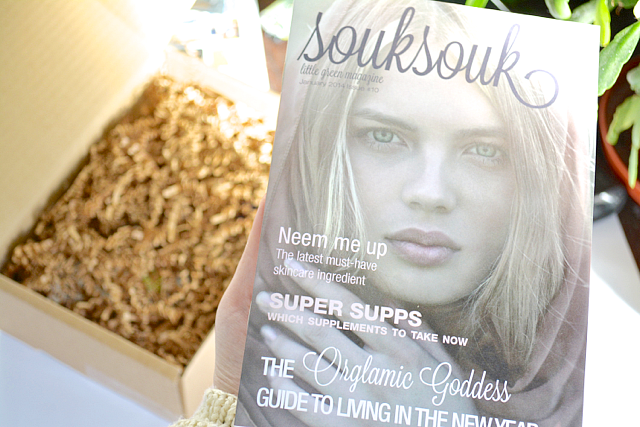 Last month I got my very first SoukSouk beauty box (see here) and totally loved it so I was excited to see what was in January's box when it arrived this morning! I'm also subscribed to LoveLula's beauty box and I know it sounds a bit overboard having two different ones, but I wanted to try both at the same time for a few months to see which I prefer. The plan at the moment is to get both for 3 more months, then keep my subscription for my favourite one afterwards (so far I think I will be sticking with SoukSouk)! Quite a lengthy list this month! Usually the box contains 5 products but SoukSouk have added in a little bonus with the Pukka Detox Tea. I'm not sure if I'll enjoy it as it contains aniseed (which I don't usually like) but I will give it a try! The box costs £12.00 plus £2.95 P&P and this month the contents are worth about £21.00. It's so nice to see makeup included as I find it's something that is often lacking from LoveLula's boxes. Plus the nail polish has a 7-free formula which sounds pretty impressive! As with the last box, I've not tried any of the brands before so SoukSouk is getting a huge thumbs up from me yet again! What do you think of this month's selection? Super, I really want to try this brand :-) looking nice! 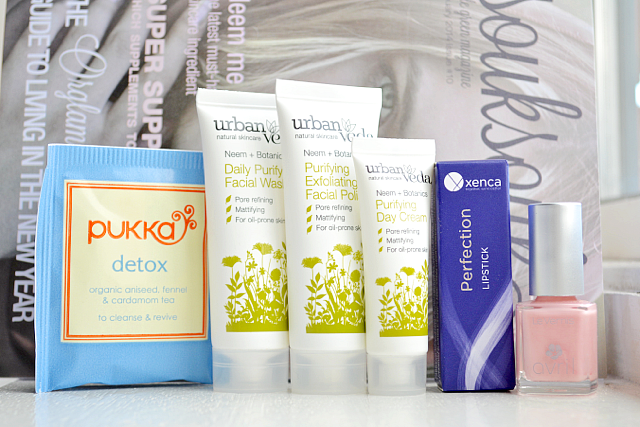 I've never heard of Urban Veda before, will have to try them out! I'm happy with the Urban Veda products but the lipstick is not a shade I would wear ever and the nail polish needs about 4 coats to get opaque! Not my favourite box but I'll definitely be sticking with it as it's still been a brilliant beauty box in other months! This looks like a lovely box! I like the soft pink polish. I always like getting tea in boxes--even if it isn't something I enjoy, it's fun to try it once!